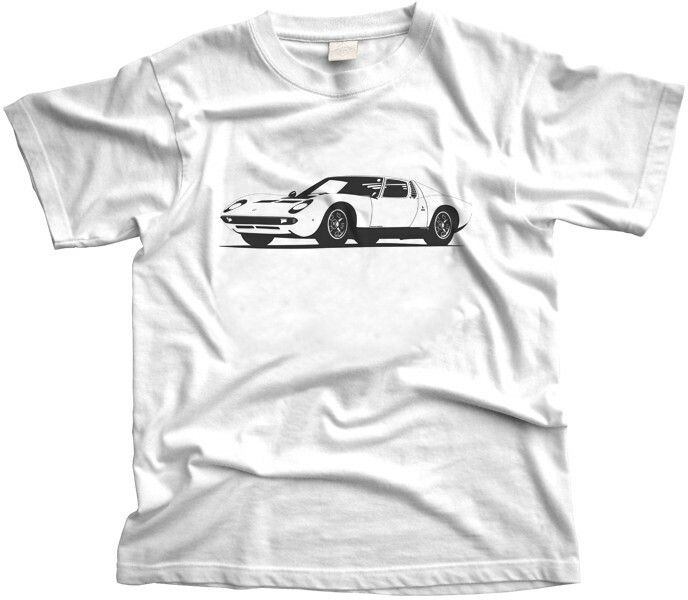 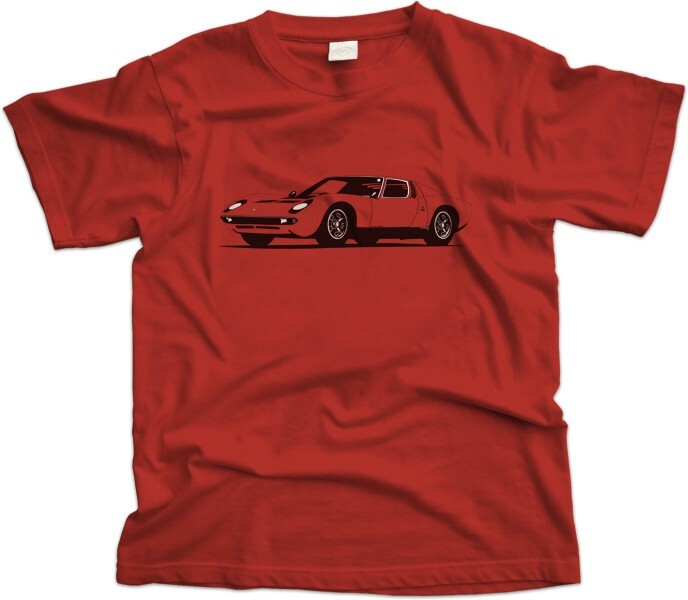 This Lamborghini Miura t-shirt has been designed by the talented Marc Carreras. 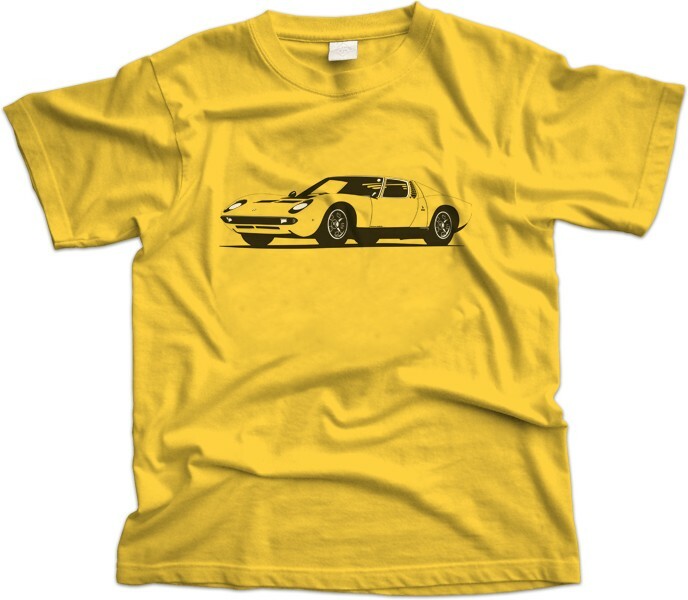 © 2016 Petrol Threads Store. All Rights Reserved.